About Meghna Group of Industries. 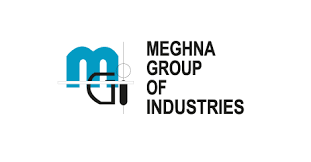 Meghna Group of Industries is one of the leading business conglomerate in Bangladesh having modern manufacturing facilities & plants for Cement, Full Cream Milk Powder, Condensed Milk, Steel, Edible Oils, Atta, Maida, Suzi, Paper, Coconut Oil & Mustard Oil, Spices, PP Woven Bag, Poultry Feeds, Real Estate, Power Plant, etc. Current Jobs in Meghna Group of Industries.